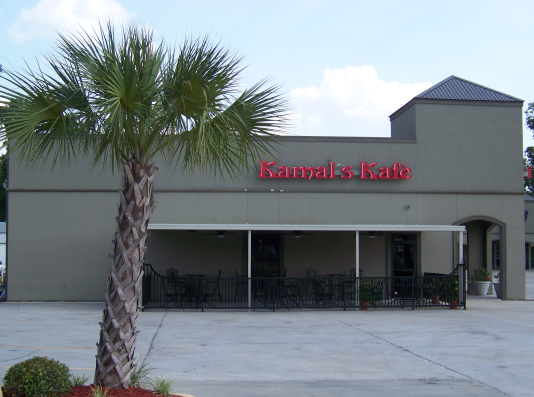 Welcome to the Kamal's Kafe website! Lebanese cuisine can be found throughout the Middle East and Mediterranean having been spread by Lebanese sailors, merchants, and adventurers over the years. Lebanese dishes across the region can be uniquely prepared or seasoned but all share in the same traditions that have made Lebanese cuisine famous. While the cuisine of Lebanon doesn't boast an entire repertoire of sauces, it focuses on herbs, spices, and the freshness of ingredients; the assortment of dishes and combinations are almost limitless. The food of Lebanon is a celebration of life; it is fresh, flavorful, diverse and invigorating. The genius of it is in its complex simplicity, and that the food is a production of both the earth and the sea. At Kamal's Kafe, we invite you to experience the timeless dishes of Lebanon prepared with ageless tradition and in a setting that is sure to inspire. We are open from 11:00 am - 9:00 pm Monday through Saturday to serve you the best in authentic Lebanese cuisine. We are closed on Sundays. Please come by for a visit soon!